Go Flipping Mad This Pancake Day at Woking Shopping. Carluccio’s Breakfast Crepe. See below for exclusive recipe! Woking in Surrey is where it is all happening this pancake day. Shop mobility and Woking shopping are taking pancake flipping to a whole new level with their 80’s themed Pancake Day race on Tuesday 17th February. Residents of Woking are being encouraged to get together with friends, family and colleagues to take the challenge of being crowned Woking’s best flippers. 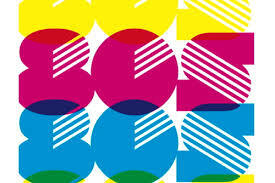 Every team who takes part will raise vital money for charity. What more of an excuse do you need to join in the fun? If you would like to take part you need to register your team for the race in Jubilee Square at 11.30am before the mayor opens the race at 12pm. Each team will compete in a relay race, in which participants will have to toss their pancake at least three times whilst on the run. They’ll also have to beat last year’s winners, the Woking Shopping Security Guards! Prizes – including an £80 voucher to spend at Bills restaurant, four tickets to see Spamelot and bowling at The Big Apple – will be awarded for the fastest, the best fancy dress and the most money raised. What’s more, there’s a children’s race and a mascot race so everyone can get involved. 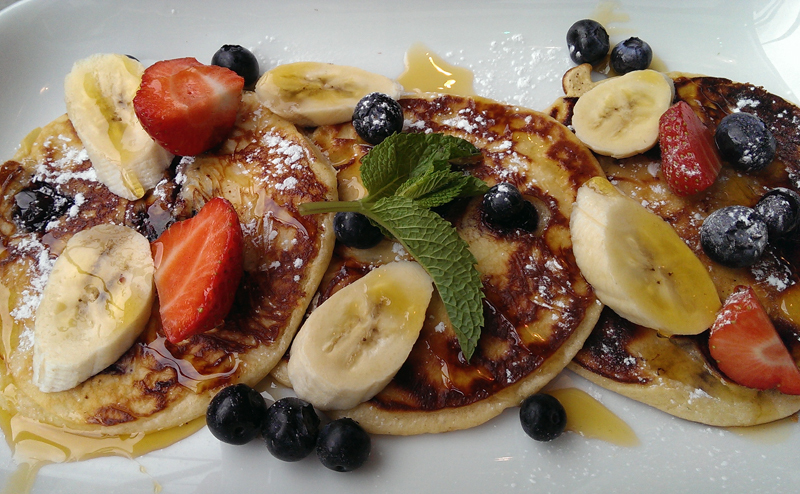 After working up an appetite racers and spectators can dine at Woking Shopping’s range of eateries – offering their own twist on the classic pancake. At contemporary European restaurant Bill’s, blueberries are added to the pancake for an extra fruity taste – finished off with bananas and strawberries and a serving of maple syrup. 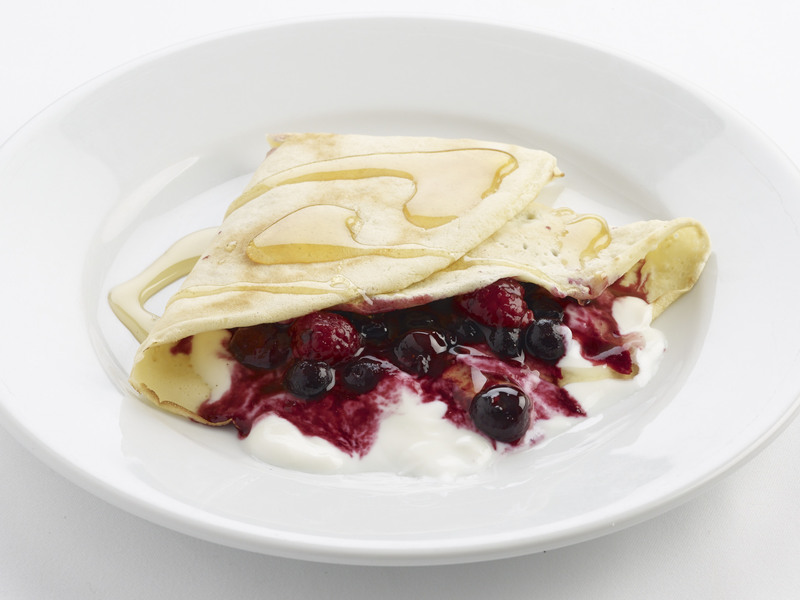 Carluccio’s, the authentic Italian eateries, serve their delicious breakfast crepes with a handful of fresh forest berries for a sweet treat. Carluccio’s at Woking Shopping have been kind enough to share one of their secret pancake recipes with SurreyKitchen for our readers to try at home! 2) And the eggs, milk, salt and sugar. 3) Whisk together until smooth. 4) And the melted butter and 1 tsp of the rapeseed oil. 5) Pass the batter through a fine sieve. 6) Heat up a crepe pan and brush with rapeseed oil. 7) Pour just enough batter into the pan to cover the surface. 8) Cook until golden, then turn over and repeat on the other side. 9) Repeat with the rest of the batter. 10) Pour the yogurt over the crepes, leaving the corners clear. 11) Scatter the berries over the yogurt. 12) Drizzle honey over the top and enjoy! It does sound like fun. Here in Santa Cruz we have the chili cook off. Those crèpes look delicious . That combines both fun and delicious! Looks gorgeous. Here in central Michigan we’ve been inundated with paczki instead. I’m not sad about this.